Japan Anime Annual Report 2018　NEW! Covering 200 anime titles and special analysis of anime viewers in 1400 pages! 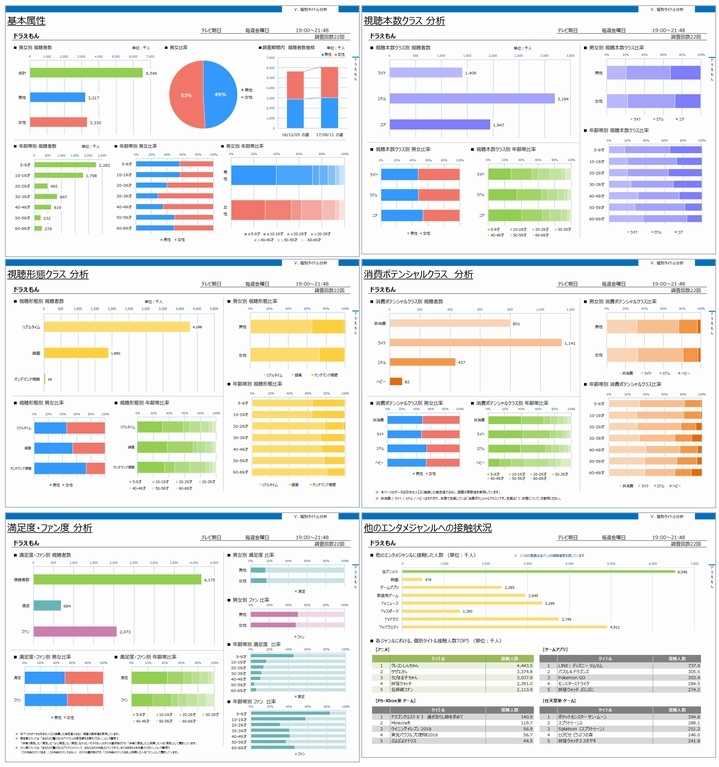 "Japan Anime Annual Report 2018" provides readers with insightful profiles of audiences for over 200 anime titles that were broadcast by Japan's terrestrial television stations between October 2016 and September 2017, utilizing data collected via Gzbrain's media/entertainment audience research system "eb-i". (*) "Chapter V: Viewer Analyses by Individual Anime" consists of seven sections from "Demographics" to "Leisure Activity Preferences, Attitudes towards Lifestyle, and Purchasing Behaviors." See "Chapter II: List of Animes Surveyed" to find out on which pages each of the surveyed animes is covered. (**) The data collection for this classification has begun since April 2017, so no Spending Potential analysis is available for animes aired prior to then. 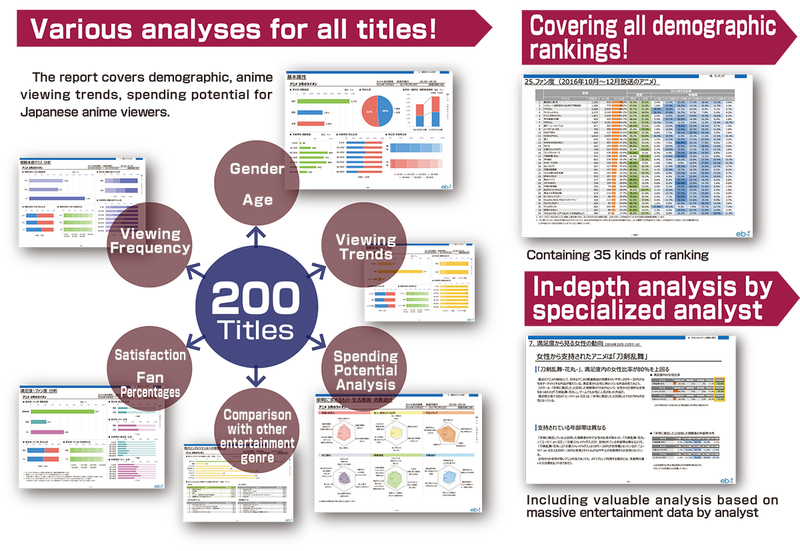 (***) The Satisfaction/Fan Percentage analyses do not cover all the anime titles surveyed in the White Paper. (****) The White Paper has a dedicated chapter to the 5-9 year old age group (defined as "Children"), taking into account their considerably different content-consuming patterns from other age groups.